"The Product Lifecycle management tool for connected products." I would like the easy to use web interface and how fast you can change the data model using web tools that let you extend your Business Items and Attributes with zero downtime. The Thingworx Navigate Integration let you search and find product information quickly from Windchill, SAP, Salesforce and connected products as well. Designers can quickly access data on customer behavior usage patterns. Workflow Template Administration let you automate your business process but it is not a simple task due to how the java interface was developed. I recommend, PTC Windchill because it is an affordable PLM solution especially when it is deploy it in the cloud. If you are considering close the Product Lifecycle with real user data, I think, it is the only solution available out there that let you do that. Windchill let you save your 3D/2D data in a safe vault to avoid losing your CAD data. Windchill publish your CAD data to a lightweight viewable automatically. The Creo-view format let no-CAD people to understand how the product has been designed. The software captures the evolution of a product from concept to retirement and prevents that people in the shop floor works with obsolete versions of the product. "If you have Creo, you may no have any alternative. Well..."
1. Even with the almost empty database it always is slow, though the support said everything looks normal. 2. The search function needs work - filtering the search result not possible, makes the function basically useless. 3. Configuration via XML-Files and the available menues is counter-intuitive - in my opinion PTC is straight out lying, when they state their products to be intuitive to use. 4. The menue is not really context sensitive - RMK is not doing enough. 5. Selecting stuff i a clickfest. 7. There is no easy acces to the interface of windchill. Customizing the views is a clickfest. Even the Windows Explorer knows drag and drop. For Windchill 11 PTC is working on "Internet of things", as far as i know, while i consider the basic functions of windchill not satisfactory. And when I take a look at prices in comparison to Vault, that i know in depth, - Windchill is lost. My company does science projects with radiation and fluids. I work in the department for machine developement, so we create vacuum chambers, and many related machines. Windchill should help to cooperate within larger products. I was the designated admin for a Windchill 10.2 PDM-Link-Server, until the project got frozen for financial reasons. I still have acces to the test-server, with some test data and the standard configuration - nothing special so far, since i lack the special admin training. I have in depth experience with Vault Professional, so everything I say can be seen in comparison to that. "It works well once configured . ...although configuration can sometimes be the hard part." It has some good features for a PLM system. The approval process can be configured to the internal process (although sometimes it is not straightforward. You have to become a master of configuring the process). Great repository for our CAD files/drawings. Many of the configurations are done on the server using command lines and updating directly to files. Configurations should be done on the UI and it seems a bit outdated doing it this way. Support is a hit or miss. Some support techs are good while others drop the ball and a ticket can stay open for several months. Overall, support seems to be inconsistent. The back end / table structure is not very clear and PTC does not provide a data dictionary and the tables used on a screen are easily understood. (fields names are not descriptive of the field). Therefore, we had to create manually some custom reports because the internal reporting is not very customizable. We needed a PLM system in place to approve/reject drawings/3d and store them as a repository accessible to any engineer. It gives a great visibility of approved objects and stored / organized in the system. Ability to use drawings of every employee in the company and sharing of drawings between every part in production cycle. It also helps to follow projects life cycle with possibility to see how many changes were made for project, check all files that are related to the project in mind all these things lets you control whole projects with quite a lot of ease. Search is quite slow and quite fragile, every symbol/space/dash and so on can make your search useless which sometimes waste quite a lot of time. Software is quite difficult to use and requires quite intense training which could become costly for company. You need to make a plan at the start of how you parameters will be handled and plan out how projects will be named from the start. No need to share drawings through emails you can see who and what updated in drawings. "Windchill gets the job done"
Windchill has great search features right out of the box, and has easy-to-learn, easy-to-use customization options. I enjoy being able to access the CAD data and models I need to complete my job, and Windchill keeps everything conveniently located. The change management features are also fully customizable, and do a great job of laying out the process to anyone who may not be as familiar with the software. Certain features I find unnecessary, such as the thumbnail pop-out of 3D modeled parts. Also, there needs to be a better way to integrate the discussion forums into tasks and processes. The discussion forums can be a great way to pass along information, but they are not cross-referenced enough throughout the tasks and processes to be utilized to full effectiveness. I highly recommend this product. It is easy to use and easy to customize to your needs. Windchill Support staff has been diligent in working with us with any requests or needs we have made. Windchill, for my role, is a way of storing and managing documents and document changes. As change management software, it has performed very well. It also gives me access to the data and documents that I use on a daily basis. Because I am able to look up information I need to complete my job, it saves me time and energy that would otherwise be used finding the people who would have that information. Windchill is easy to configure. - Java Applets which makes the Workflow design tough and unsupported Java versions on Windchill Upgrades. Migration / Configuration - Migrating data from different PLM/ERP systems. Configuring Windchill to meet the Business Requirements. Benefits: Windchill could be used to meet most of the Business Requirements. "Windchill is a good product, and is always getting better"
Windchill integrates model management and project management together very well. The change system that goes through Windchill is effective. It is an effective tool for managing parts, end items, CAD, and documents throughout the product life cycle from concept through obsolescence. Searching in Windchill is fairly simple and very powerful. Windchill can operate a little slowly at times, and their tech support isn't always the best. Some users find it difficult to navigate, but ones who are reasonably tech savvy find it manageable and user-friendly. The reporting feature (QueryBuilder) is subpar, but is supposed to be improving. Windchill is overall a good product. Managing product lifecycles from creation through obsolescence. This includes changes to parts and models throughout the enterprise. We manage all of our documents, parts, and history in Windchill. "A good product that can be utilized to control large amounts of data"
From the projects to the storage of data, it can hold whatever you need it to. As an admin, we talk to our users everyday on ways that this product can be improved. Some of the suggestions are as follows: A Windchill Light version that would give the light user the ability to get the information needed without having to deal with the sometimes cumbersome system. Another improvement which we are currently investigating is Windchill mobile. We are using Windchill to store and control our companies data. Being able to store all of data we have is a great tool. One stop shop. "Experience with this product is mostly in retreiving and storing product/project information." What I like most is the ability to store information for an item or project in one location within multiple folders. During an upgrade to a newer version, some of the links between folders to comments do not seem to work like they used to. Now, instead of having a link to a comment section, I have to navigate manually. Not too big of a deal, really, but it is just more steps to take. I am not certain what level of training or supplier interaction our administrators received, but given the scope of knowledge that my own administrators have of the product, I would recommend that anyone considering this product search for and utilize any training they can get. The interface of this product is similar in feel (at least to me) to an excel sheet, but there are still small things that trip me up from time to time. I'm not certain I am solving any business problems, but I do like the benefit of having work flows within this system. The majority of my tasks are workflow initiated and I like being able to see where in the flow my tasks are, what the predecessors are and what tasks are/can be held up by mine. "THE BIG PDM tool that is scalable and unlikely to be outgrown no matter what Company size"
As this review is titled, PTC's Windchill PDM is a big scalable tool that most likely you won't be able to outgrown no matter what Company size. It is extremely solid and once properly implemented, it should be fairly stable and reliable. The web based workspace concept is process/task oriented making it helpful for understanding the role of PDM in an organization. Such workspaces are easy to create, manage and you can have different ones dedicated to each of your projects. This is not a tool for the faint of heart or the short on cash. Pretty much this is a big boys tool which requires lots of $ to maintain and support hence most oriented for big companies which can afford big teams to support such. I don't see how a small company can set or sustain this monster. I will say this is better for medium to biggest companies kind of tool. And if a medium company is going with this, you will need dedicated, experienced administrators for it and some highly PTC aware tools people. Don't dream or do the mistake of using informal support for it as it will fail. Be willing to expend lots of $ for it. Like I said before, this is not for the faint of heart. You need deep pockets and really experienced people to implement and support this tool. Once set, it's great for a big company. I do not recommend this for small companies. Anything else should suffice. Once this monster is set and stable, you get a beginning to end, at tool that support your environment for the full lifecycle. Again it is a tool that can support HUGE project or programs and pretty damn good at it. Not for the faint of hear, but once up and stable it will deliver like no other. It has improved a lot over the years and is more user-friendly; however, I can see it has some room for improvement, and, since things are changing, I can only assume there will be changes in the future. if I haven't searched for a few minutes, I'm required to refresh the page to be able to search again. This can be annoying as well as time waster. I can tell there are employees who avoid using it because they ask me to find documents for them. I can only assume that there are some that don't find it easy to use and, therefore, make less enjoyable for me. I have no recommendations for others. I manage instructions and related documents. My data, e.g., instructions, warning stickers, etc., may be accessed from one place. This makes it very convenient when other departments need to access my documents. "A Professional, Reliable PLM system. Perfectly balanced for both small and large companies needs. " Browser based, so no need for 'bolt-on' or bespoke software. Metadata storage and management uses the worlds leading Databases (Oracle or MS SQL) so you know it's going to be solid and reliable. Integrates perfectly into PTC Creo, and other 3D CAD Packages. Continually being developed, improved and updated by PTC, so no worries about product becoming dated. Windchill's reliance on Java can cause a headache. But this is because Java is continually updated and sometimes adds security restrictions that cause problems. It's not a Windchill issue, as PTC have no control over Java's development. With so many products using and relying on Java, it would be sensible for Oracle to stop releasing Java updates that break software that relies on it !! Windchill is a solid, reliable PLM tool, and meets the needs of all sizes of business. Windchill is no longer just for large companies. It can be used successfully in small companies with just a couple of users. The main issue every business has, particularly those using 3D design software, is the management and security of their data. Windchill provides the tools to manage, store and share this business data securely with the rest of the business, using an interface that is clear, and easy to use. Windchill also gives a business the means to control their data in all stages of it's life cycle, from Work in Progress to Obsolescence for 3D/2D CAD, Office Documents, PDF's and so on. "PLM manages files. Is this really what is needed or is discrete data management needed." Windchill can accommodate a wide range of processes. It is fairly well integrated with PTC’s CAD modeling capability Creo. PTC support is good as long was you are willing to pay for it. The Windchill user interface is difficult for the user. Document checkin / checkout is an old paradigm that limits collaboration and knowledge development. It’s very difficult to find items in Windchill. The classification and attribute management functions lack functionality. Windchill is not very flexible. Determine if you need file management or discrete data management and the value of both approaches. We realized significant business benefits ($2.6B in free cashflow over 2 years) by managing discrete, detailed data about our parts, assemblies and products but Windchill was a very small contribution to our success. Windchill was used to control the parts once the rationalization work was complete. "Most reliable PLM tool available in the market"
Its ease of use. We use this tool in integration with PTC creo and it gives a best solutions for our ECN/ECR processes. Its attribute management along with WT parts, CAD data linking, project sharing, documents management are the best features and a great help. UI needs to be more user friendly. The search function can be a little wonky. This software has many capabilities from being the vault for CAD files, word documents, and many other files types. It also allows for routing and approval & reviews. My company has used this for 8 years, and we now also collaborate with customers who also use the same product. We can use Windchill to submit supplier request for drawing change with the collaboration functionality. As with many large complicated software programs, there are occasional issues and very minor down time, but PTC support is prompt and are rarely down more than an hour. Some work functions (sales, quality, managers) who don't use this every day struggle to use because it is a complex program and remembering menu pics and methods can be a challenge. Automotive manufacturing is so complicated today & Windchill is a great tool. We did however build our own web based system to focus on the commercial side with ROI, market conditions, strategy, and system BOM in focus. Windchill is mostly and engineering tool, but is beginning to focus on other aspects. It's very difficult to have one software to meet the needs of all companies & sizes. We have integrated company procedures with Windchill and use it for phase gate approval. Document revision control has been greatly improved. Windchill provides a centralized location for all documents related to specific projects. Because it's great as a vault, we also store customer drawings in Windchill so they are easier to find. Searching for documents has never been easier. "A robust offering covering most bases for SMB and larger"
The Windchill suite nicely scales to several different sized businesses. There is no coding that needs to be done in order to have a 'working' product. This means that smaller customers are able to quickly implement a PLM system and begin using it effectively within a short amount of time. At the same time, there are many APIs that allow configuration and customization beyond what works OOTB. This means that large scale enterprises are able to effectively match the Windchill suite to their processes and disseminate information throughout large organizations. Additionally there are many utilities that are available to integrate with other systems as well as migrate data in to Windchill. This includes both PTC and non-PTC tools to do so. At least for me, the UI is decidedly easier than others for administration and users in general. Since it is basically a web page, most users are familiar with the browsing style. Organization has improved from version to version as well. Windchill is written in Java, which makes it easy to develop for given the API. Additionally Windchill runs on a variety of platforms like Windows Server, Linux (RHEL), and a number of UNIX distributions. The API is poorly documented and sometimes wrong. There are some classes that aren't listed in the API documentation that are necessary to have things function when customizing. Furthermore, Technical Support will often not provide any support for customization citing that it is "not a supported activity". While Java is something I like, it can also be terribly inefficient. There have been a number of occasions where there has been stacktraces in the system logs. After a call to technical support, I was informed that it was 'normal'. For the average Administrator this can be frustrating as they may only expect to see 'normal' logs where nothing is wrong, and anything else indicates a problem. There are many problems that may be solved by using the Windchill suite of software. Specifically Windchill PDMLink has a very nice workflow editor as well as OOTB workflows that may be customized and changed to serve a number of business processes. Promotion requests, change requests, change notices all have objects and support from the PDMLink. In addition to this, it is relatively easy to manage multiple different BOMs for a single product. This allows different roles to see the same shipping items differently for what is important to their area of work. "Excellent way to manage Product Lifecycle"
It is most convenient tool to manage all your CAD as well as project related data such as BOM & part attributes. I am using windchill in connected mode with creo and it gives me an ability to manage all my CAD files, its relationship with other cad files and document history. Its unique ability to manage BOM structure using part document as well as CAD document. It still got problem to manage third party CAD data as well as there needs to be some improvement in data sharing capabilities. It is effectively solving our engineering change management process. It is solving our problem of managing data of multiple geographical locations. Ability to sift through all the drawings and design data that is currently used in the company. The program runs well with PTC run programs (Creio) and CAN manage data and designs very well. Easy to find parts, pieces, and components which are already designed (function of part numbering systems). Runs well in PTC run programs, but easily gets confused by data input from other softwares. Have to remember to lock the component while editing to avoid multiple people editing at the same time and ruining the revision history of the part. "Powerful but non-intuitive Workflow tools"
The workflows were very intricate and very powerful. It's a great tool; but was not easy to learn or easy to teach - for coworkers who didn't understand the logic behind it. It was hard to understand at times; and it was hard to coach others who had minimal knowledge of it. It's a very powerful and secure tool. Some might find a bit of a high learning curve. We wanted a platform that would be visible for clients outside of the company. It has GREAT security measures. But it was hard to coach people on the other end of the line if they weren't onsite. I liked the fact that you could share things with others through this platform. "PLM tool with CAD integration"
Windchill integrates well with CAD tools like creo and solidworks. "It's not the worst ePDM." Ability to roll back documentation, track changes, and manage revisions, family tables, and naming conventions from within the interface, even completely independently of your CAD software. It's not very intuitive or user friendly, has a lot of problems separating dependencies (especially when working with an assembly wherein only certain parts need modified and/or checked out). Take any training you can, and make sure you know who your superusers are! That it does not force the employees to use the same format saving their folders. "A secure and central location to store, manage, and control product and project information"
It is a secure repository which allows management of project and product documents in their native format. Various CAD tools are supported, but works best with PTC's Creo. It is a very powerful tool that is capable of growing with an organization. The product is expensive and requires configuration by experienced administrators. The user interface is not easy to navigate for occasional users. Windchill is for a medium to large company. 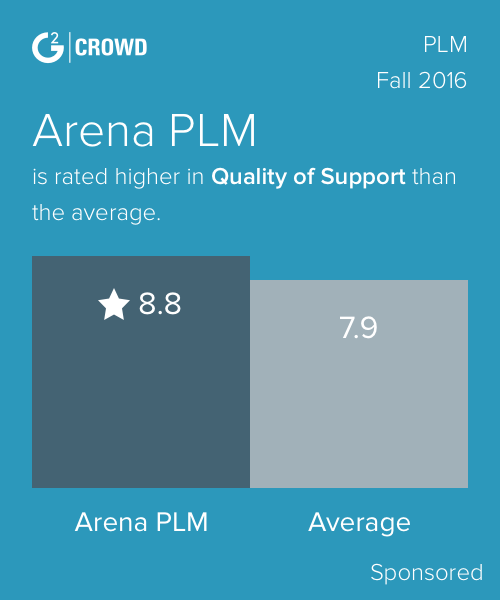 Make sure you understand your PLM needs. Although Windchill is a capable and powerful tool, it may be more than you need. Windchill provides a secure and central location to store, manage, and control product and project information. It helps keep geographically distributed teams informed. ProjectLink makes it is easier to track status of projects. ISO audits are completed more efficiently, since documents are centrally located. People are not running around searching file cabinets and emails for every document. Engineering change management process is improved by making sure all affected items are addressed. I am responsible for the accuracy of all parts and BOMs.. I like the way Windchill allows me to be organized. We use the entire plm system. From the start of the lifecycle to the end. Also managing all the changes in between. The organization and ways to filter items is great. The searching capabilities is very ideal. Makes assigning tasks easy! The company is always very responsive to changes. The interface is easy to teach. We use it every day! I don’t imagine that we would change anytime soon.Very user-friendly. The only thing I would change is that I wish there was a copy button for the different routes reschedule. It’s annoying to have to the same routing multiple times and we could just copy and existing route. More accountability for task holders. "PTC Windchill - A growing presence in the world of PLM tools." It is configurable, customize-able and works well with CAD Tools. Creo to Windchill Integration is awesome. The WIndchill 10 UI is very slick and has more configuration options then ever before. A lot of issues logged with PTC end up with a not supported or as per design answers. The most important consideration would be based on what type of CAD tools are you using, ease of migrating from your existing PDM to Windchill and which modules you intend to use. Windchill has a host of modules ranging from PDM to Change management to project management. Each module has its own use and is integrated with other WIndchill modules. We are able to maintain and integrate our CAD Data seamlessly in WIndchill. We have integration with a host of systems throughout our company where data is picked up or pushed to Windchill. The medical devices has to follow strict rules, guidelines and standards with strict monitoring and control. We are able to achieve that through Windchill. "PTC Windchill-Complete Product Related Information in Single Platform"
Helps Manage products through all phases of the product lifecycle. Works best if the CAD tool is CREO. Also supports all other CAD tools. This is the excellent Ease to use PLM software can be definetly considered if the CAD tool used is PTC's Creo. Based on my personal experiance, If you want a PLM tool exclusively for managing the CAD files and all other Logistical activities in ERP keeping PLM and ERP separate, you can definetly consider this. If you would require a PLM tool be always directly integrated with the ERP and ERP is SAP, SAP PLM is the PLM tool which needs to be considered else to connect Winchill to SAP, organisations end up with lots of interfaces and maintenance becomes expensive and also this can lean to lots of errors between data in PLM and data in ERP. I have vast experiance working from Design Engineer working on most popular CAD tools exteensively using PTC's Pro/Intralink and PDMLink as PLM tool for Product Data Management, CAD/PLM Support role, SAP PLM Implementations, Migration and Support experiance Primarily addressing all the Product Design / NPDI / ECM pain areas using SAP PLM tool. When Working on PDMLink with Creo application, I have realised huge benifits which resulted in faster Product Development Cycle with the avaiability of latest Relesed version of CAD file in PDMLink, Changing the file with status and Change number, Managing Large Assemblies with Ease etc , Getting the 3D view of Product Data within WIndchill, Availability of all required Metadata, Excellent Search Features reducing the time in searchign the component etc. "Good place to store files." Windchill has a ton of functionality, and you can create paths from parts to subassemblies to assemblies. It can be very confusing to use since so many paths can be created. Start organized and Windchill will help keep you organized. I have been able to search for files created by other colleagues. It helps me find information. "Timely Updates and Flexible Software"
Without a dedicated IT system administrator, most small businesses would probably have to rely heavily on PTC for support. PTC Windchill manages all product content and business developments throughout the product and service lifecycle. PTC's software solution helps to streamline product lifecycle management . Documentation service for parts, standards, work instructions, etc. "Working with windchill for 3 years for all product development and process development work." Product retrieval from a centralized location and ease of use. Maintaining all product drawing and models and also all engineering changes and actions at one place making it easy to access and regular follow ups. Sometimes the server becomes unresponsive due to heavy load. Central repository for Product drawings, models, description, managing all engineering changes in the organization. "Very useful for large projects"
It has version control and acts like a cloud service of sorts. There's a learning curve and lots of functionality that can be overwhelming for a first time user. We are using it to back up all files related to projects. It's sole purpose is to act like a library of documentation (a database). I like that it is built into The Creo interface. No need to log into a separate software. You can also use a stand alone version in windows. Defaults not good for every situation. Difficulty with versioning parts in Pro-e and making them locally modified. "Created training material for Windchill 11.0"
I like that windchill 11.0 is very up to date and modern compared to their 9.3 version. Smoother interface. A lot of the functions are very different so training is required. This is a good piece of software if trained well on how to use it. I was developing training material so that engineers would know how to use the software. "End User of Windchill for File Sharing"
Provides a central repository for all the files my colleagues and I need to use and track throughout the day. I have difficulty navigating the cabinet structure. Solving the need to share files, and keep track of latest versions as well as previous iterations, among members of a large company. "PTC Windchill: Great configuration mgmt & CAD mgmt tool"
The ability to quickly link CAD structures and Bills of Material to Windchill is very helpful in maintaining configuration control at an Engineering BOM level. I've used Windchill to integrate with Creo & SolidWorks, both worked well. Creo has better interface since it's also a PTC product. Workflow creation / management is good feature. Consider larger implementation and factor in multiple training sessions for new & current users. Efficiently managing CAD & linking this data to Bills of Materials. This connection allows for tighter configuration control and improves downstream records in manufacturing industry. Security is not compromised to share information between different contributors on the project/assignment/tasks. Interface not that friendly as other sharing software/pages. Interface can be arranged to show important information and leave specific options in submenus. Confidentiality, sometimes information can be shared by email due to the importance of it. So Windchill have solved that sharing high importance issue. Getting technical support can be an issue. Managing product data, work flows, project management, CAPA/NC management. I like the fact that it is a web based application and required very little configuration on the client side and the Pro/E integration worked very well with it. The third party CAD integrations worked but in my opinion not real well. We had multiple data repositories and by moving to Windchill we were able to move all of our CAD data to a single repository. This has tremendously reduced the time it takes to find and update CAD models. "Product itself is easy to work with and to learn"
Very powerful software and used in adding in parts and products from our various divisions for our engineers to use. Tech support is outsourced. Sometimes they are hard to understand. Also, their procedures and manuals don't always follow real life and one will have to open up a ticket with the tech support. Bringing together various parts spread out over many divisions. "End user experience is a bit clunky, but functional "
Wish it was easier to navigate results of searches. Wish there was an “effective date” column instead of a “last modified” column. Wish there was a better visual representation of document relation that you didn’t need a specific viewing software for. Flexible Configuration option with respect to attributes. Active Directory Integration makes User Management easy. AD Integration rarely creates duplicate user record based on certain condition. This was raised to PTC at the highest level. There is no fix for this. Please validate all the business requirements before choosing PLM tool. Very thorough control mecahnisms available. Creo View can be quite finnicky to get working on the multitude of computer configurations encountered in a business. Be sure to take plenty of time to decide how you want it configured. Be sure to have a knowledgeable and thoughtful team. Windchill will not configure itsself, but with good foresight and undestanding of the product it can work well for you. We have automated a lot of manual based process using windchill and it's workflows. We have also secured our and backed up our data in windchill. "Best Product Developement Tool "
Need improvement on ERP integration and Manufacturing Space. "Windchill - for Retail and Footwear Industries"
I've implemented FlexPLM the RFA version of Windchill and it is a robust comprehensive solution that can scale for larger organizations. Customizing Windchill is still a necessity if integrating the solution into a full end to end supply chain platform. The user interface lacks all the bells and whistles of newer software applications and user pushback is an issue. PLM offers a full range of benefits. In the RFA space they align around time to market, BOM management and portfolio and line plan management. "It is a good engineering tool"
Can generate BOM directly from 3D models. It is kind of expensive. The annual maintenance fee was also high. Build a complete BOM for a complicated machine, which contains more than 4000 parts. * We monitor all PTC Windchill reviews to prevent fraudulent reviews and keep review quality high. We do not post reviews by company employees or direct competitors. Validated reviews require the user to submit a screenshot of the product containing their user ID, in order to verify a user is an actual user of the product. Hi there! Are you looking to implement a solution like PTC Windchill?